Technology has been a weakness of mine, so it of course became an insecurity when homeschooling. We all are afraid about educational gaps, and coding was already on my radar, but I had no where to begin!!! Thankfully an odd set of circumstances recently led me to a visit to new library branch. While my boys were reading, I looked up and saw a whole shelf of books about Coding for kids. Most of them were Coding in Scratch. With a little research, we found Scratch is perfect and easy way to begin coding. Visit http://scratch.mit.edu and click "join scratch" to create an account with username and password. You'll need an email address too, but thankfully I could use the same email for both of my children's accounts. It works on computers that have Windows, Mac, or Linux. I have a very old computer, still running Windows Vista, and using Scratch online worked for us. Our desktop is in homeschool room, and is password protected from my kids, so safety is not a real concern for me with this app. If you are concerned with online safety, or have an Internet issue, you can also use it offline. This would be the first book you should use to get started, AND IS ONLY $6.00!. It is simple and short, but sets the child up to begin working in Scratch with easy to read step by step instructions. My boys are in eleven years old and in sixth grade, and it was great level for them. 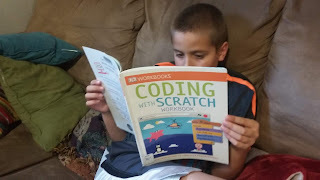 My kids taught themselves to use Scratch using this inexpensive workbook. 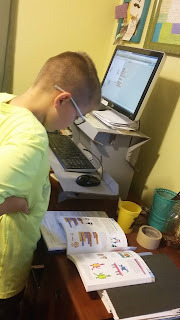 After a few days of familiarizing themselves with scratch, my boys absolutely devoured this book. They were begging for coding time. They were so excited about these step by step instructions, I gave them much more time than usual on the computer for a few days. 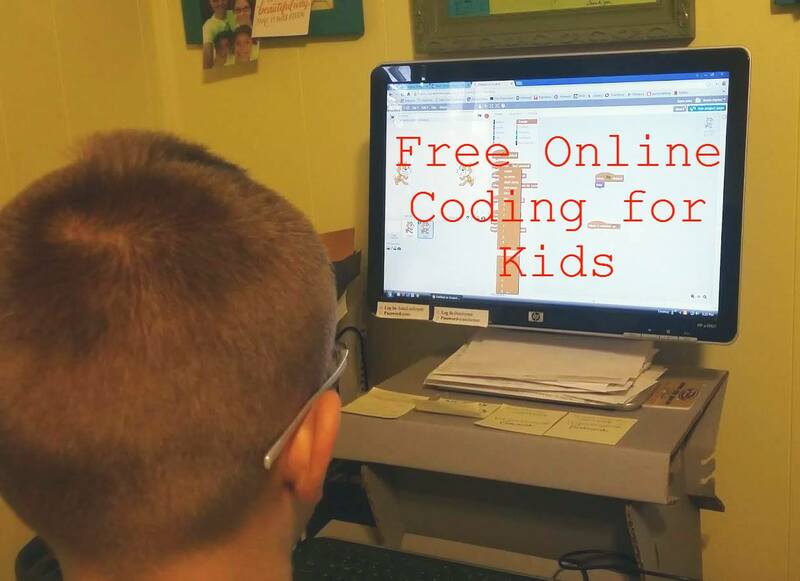 I hope this helps someone else get their children started on coding! Don't be scared. 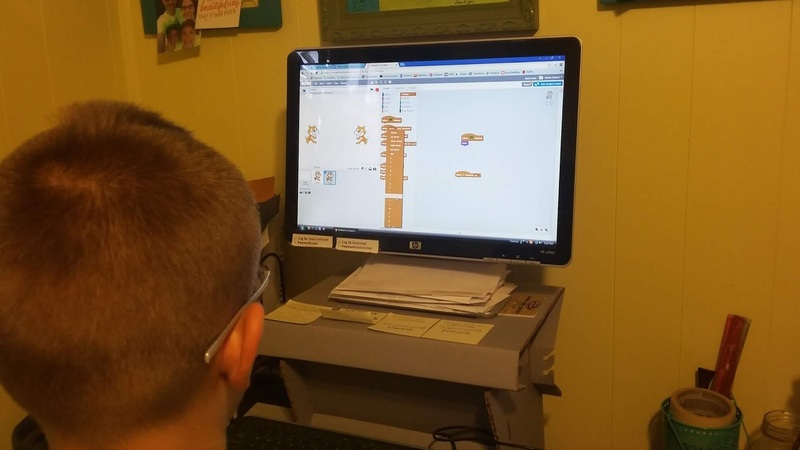 Scratch is very simple into to coding for kids!